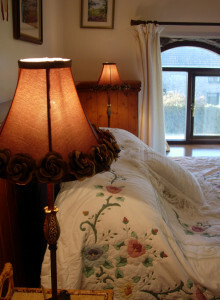 Huxtable Farm offers 6 individual rooms, each one unique in character and ambience. The 3 double bedded rooms are on the first floor of the farmhouse, with all the charm and character of the medieval farmhouse, whilst the family rooms are in the beautifully converted listed barns. All the rooms are individual yet share modern day comforts including; En-suite bathrooms (with exception of one double bedded room in the farmhouse which has its own beautifully spacious private bathroom across the landing from the bedroom) Wi-Fi, T.V., DVD player, clock radio, a complimentary tea & coffee tray with biscuits and Tarka Spring water, towels and many bathroom accessories, hopefully providing for everyone’s needs. ‘Blue-for-get-me-not’ – A doubled bedded bedroom with en-suite shower. ‘Yellow Primrose’ – A doubled bedded bedroom with en-suite bath. ‘Pink Campion’ – A doubled bedded bedroom with private bathroom across the landing. 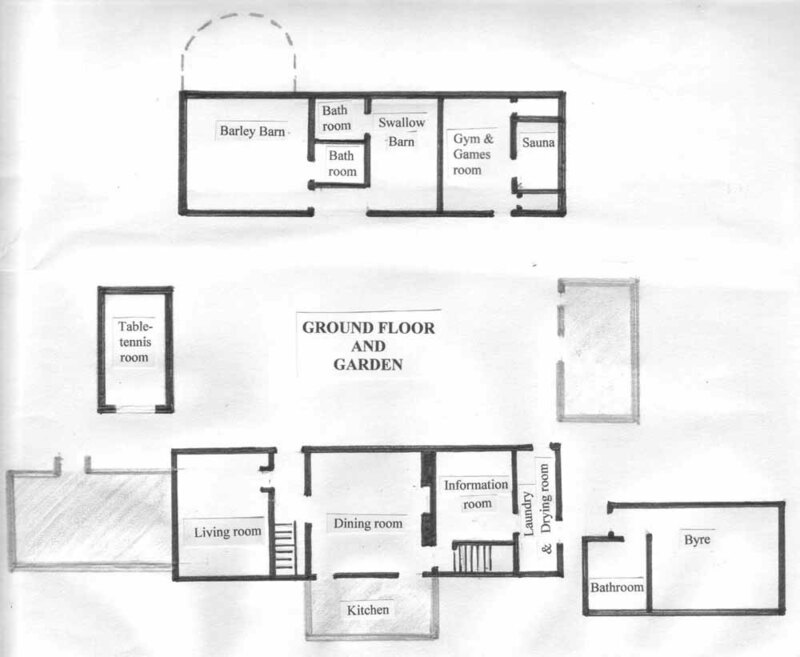 ‘The Byre’ – A family bedroom with en-suite bath. ‘Barley Barn’ – A family bedroom with en-suite bathroom. 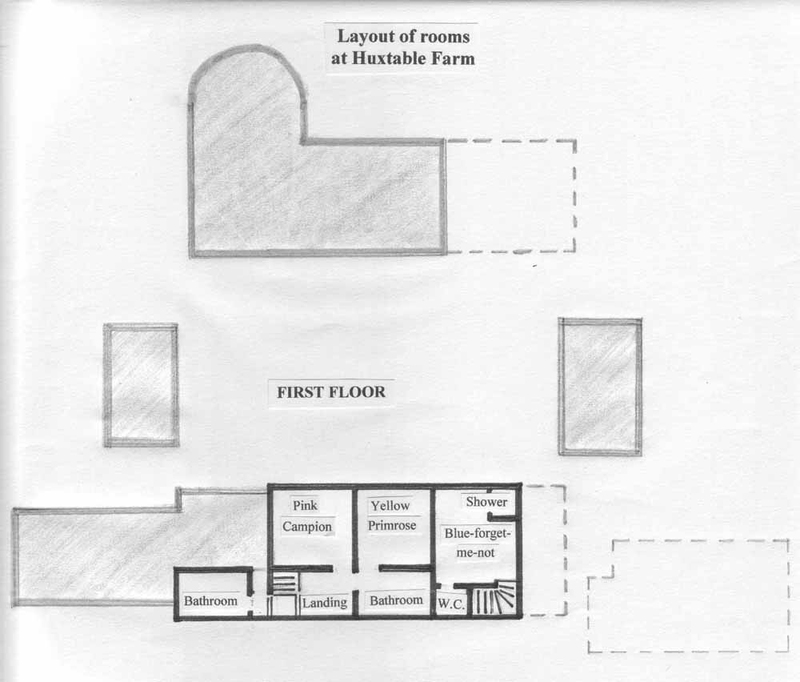 Below are diagrams showing the layout of the rooms at Huxtable Farm B&B.